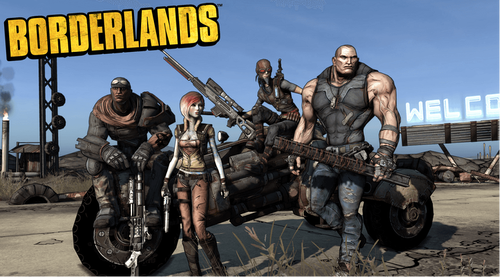 Up until now, fans of the Borderlands series have been left wondering about the status of the franchise. And even though Borderlands 3 has largely figured in developer Gearbox Software’s discussions since as early as 2013, that was mostly fuelled by fans’ urges to the studio to take the series forward with a new main entry. However, although Gearbox was not too keen to discuss the matter at first, it was in 2015 that they dropped the first hint that Borderlands 3 was indeed a possibility. They did add that the game might be called something completely different, however, because the numeric “3” does not make much sense due to the fact that the franchise already had three separate games under its banner. But the good news was that the studio had acknowledged it in some way, no matter how minor it was. In addition, Gearbox’s CEO had said that the next Borderlands game would have to be absolutely massive to be able to carry forward the legacy of the award-winning franchise. You can see by now why everyone is so excited about Borderlands 3, then. And it just so happens that after a clearly visible unwillingness to talk about its prospects and a very quiet 2016, Gearbox has now opened up about Borderlands 3 like never before. In early 2017, the studio partook in a tech demo showing at the GDC 2017 in which they showed off footages from the next Borderlands game in development. It even contained a hidden character reveal, but sadly, we couldn’t make much from it because she was completely covered in an Exo suit. The next clue came a few weeks later when Randy Pitchford, the head guy over at Gearbox, posted a status update from Twitter that contained a picture of him in the middle of a motion-capture shoot for an unnamed upcoming title. He added that he was acting out the part of a “psycho bandit,” and it was also clear from other celebrities who were shooting for the same game that the title was not an external collaboration like Pitchford has done in the past sometimes, but a Gearbox project itself. There is no way that after a Borderlands 3 showing in January (although the game had remained unnamed at that point as well), Gearbox will begin teasing an entirely unrelated title. Besides, there is another little hint from the publishers of the franchise that works in favor of our optimism. Take-Two Interactive, the owners of 2K, have recently teased a brand new title under 2K’s banner that is supposed to come out sometime in 2018. Now take note of the fact that this time too, this new title remains unnamed. But the announcement aligns perfectly with our speculation about a possible Borderlands 3 release date. We already know that Borderlands 3, or whatever the creators name the upcoming entry, is definitely in the works. And considering that it has been at least a couple of years since the game has been in progress, we have a feeling that 2018 should serve as the perfect launch window for the next Borderlands game. So with all that, we feel pretty confident that a Borderlands 3 announcement is on its way soon. And 2018 could certainly be an exciting year to look forward to for fans of 2K as well as Gearbox. Let’s hope for the best.